LOOKING FOR YOUR PREMIER AUCKLAND BATHROOM RENOVATION SPECIALISTS? Handy Home Solutions is a family owned bathroom and home renovation business, providing professional bathroom renovation and home improvement services for North Shore and Rodney residents. From small projects, through to complete bathroom renovations, we offer great value, exceptional service and quality workmanship. Time to upgrade your bathroom? Want to create more space and functionality? You have come to the right place! For years, Handy Home Solutions has helped homeowners across the Auckland area renovate their bathrooms, giving them the space they have always dreamed of while enhancing their property’s value. Not only do we provide stunning bathroom designs, but we also provide top quality products and workmanship at competitive prices. Whether you are renovating an existing bathroom or building a new one, we have the experience and expertise to make it look perfect. We have completed numerous projects for residential and commercial premises throughout Rodney and the North Shore. Our customers’ satisfaction is our top priority – this shows in the number of repeat customers and word-of-mouth referrals we receive, and we appreciate them all! 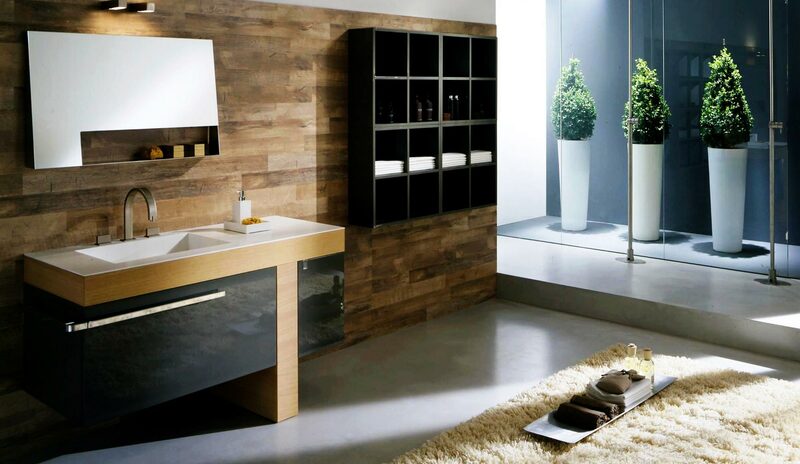 Since bathrooms are our specialty, you can be confident that we will carry out the job to the highest standard. If you are looking to turn your bathroom into your own personal oasis, the professional designers and contractors at Handy Home Solutions will bring your vision to fruition. If you’re ready to get started on your new and improved bathroom, feel free to contact us for a no-obligation in-home consultation. If you already have a design in mind, we will work with you to turn your ideas into a reality. Otherwise, we can help you come up with a custom design suited to your tastes. We offer free, no-obligation on-site consultations and quotations. Contact us today. Our customers' satisfaction is our top priority – this shows in the number of repeat customers and word-of-mouth referrals we receive, and we appreciate them all! We have called on Isa a couple of times now for various jobs around the house and garden, including adding new wooden gates to our court yard and back garden. He was extremely professional with great communication, and was able to come at short notice. We were fully informed on the cost of the job before any work was started.I would recommend him to anyone looking for an honest, reliable professional for anyhome repairs and maintenance. Great job, thanks. We at Plumb In Albany have been working with Isa of Handy Home Solutions for well over 5 years now. Our priority is our customers and therefore we only recommend tradespeople that we know and trust to uphold the same high level of service in which Isa has provided since the very beginning. The positive feedback from our customers regarding Isa’s workmanship and service has helped us immensely and thereby made Isa our most highly recommended installer at the Albany branch. Many thanks. Isa came and finished off my hubbies DIY bathroom – after 3 yrs of no bath for my kids! He is a master of most trades – as he gib stopped, framed, tiled and installed our spa bath. Then he came and replaced the architraves and skirting in our kitchen and family room area. We were so pleased that we asked him back again to replace our rotting deck with a lovely new one and pergola. Isa is lovely to deal with, arrives when he says he will, works hard, and his workmanship is structurally safe and sound. Would have no hesitations in recommending Isa, and in fact have already done so! We have called on Isa to do a number of jobs around our home over the last few years including a bathroom renovation and building new decks. We are always very impressed by his high level of workmanship as well as his commitment to the job. He is punctual, professional and always willing to go that extra mile to get a great result! Send us an email and we’ll get in touch shortly. You can call 09 478 0525 or 021 682114 — we would be delighted to speak about your project.